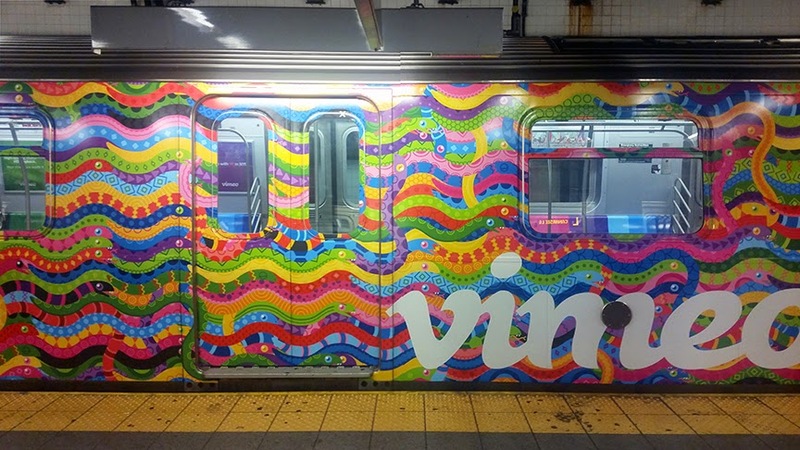 This Vimeo train wrap on the L-line goes all out and includes a full inner wrap as well. Not only are all the ads inside the car for Vimeo, but the seats are covered in a candy color vinyl that turns "showtime" acts into a surreal NY experience. 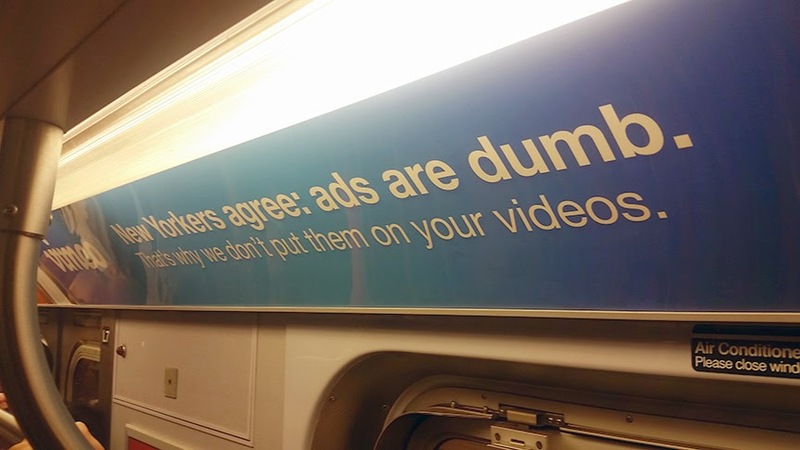 Despite the overbearing weight of Vimeo's cry for attention, they are still smug enough to suggest that NY'ers don't like ads and therefore will love that Vimeo doesnt include them in videos, only on our trains.